I don’t enjoy cooking that much, probably because I’m not very good at it. However, I found making homemade dog treats surprisingly simple. Anyone can do it. 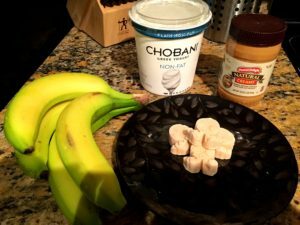 My furry friend, Oliver, loves these treats; so I think it would be cool to share my recipe: Bellow is a step-by-step guide on how to make simple homemade dog treats with just Yogurt, Peanut Butter and Bananas. 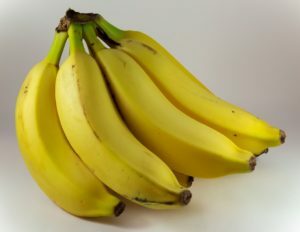 If you have a blender, all you need to do is to cut 2 bananas into small slices, and then add all the ingredients into your blender. 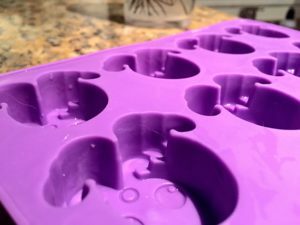 You blend it well until it’s creamy and then pour the mixture into an ice cube tray. 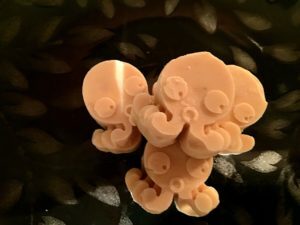 I’m using my octopus ice cube mold, which is not dog related…but it’s cute, you can use any ice cube mold. 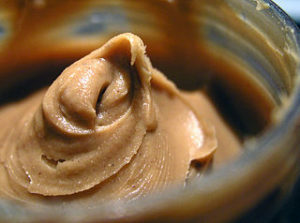 If you don’t have a blender, you can microwave the peanut butter for 20 seconds, this will make it easier to mix. Then, you mash up the bananas and mix in the remaining ingredients. Afterwards, pour the mixture into the ice cube mold. Leave them in your freezer for 2-3 hours and that’s it! Serve them to your fur baby and enjoy! After making it, I wanted to make sure that Ollie (my dog) would prefer my treats over the ones we bought from the store, so I conducted an experiment. 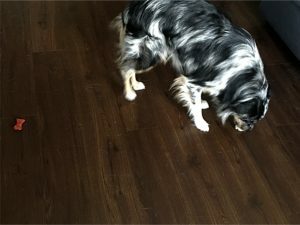 I placed my homemade treat and the store bought treat on the floor. Oliver picked the homemade one 5 out of 5 times. He absolutely loves it! Every dog owner should have dog treats. Sure, your dog has his meals; but you want to give your furry friend a nice little treat from time to time. Sometimes you want to use treats for training; or perhaps you just want to show him love. Either way, we’re buying lots of treats in the stores not knowing what ingredients are inside. There are numerous dog food preservatives that could be toxic to your furry companion. By making our own homemade stuff, we can choose what ingredients we want to put into his food. Yogurt is not only safe for your dog, but also good for him. There is active bacteria inside which can have a positive impact on the digestive system of your dog. However, make sure that it is plain and natural Yogurt. You don’t want anything with added sugar. They are not beneficial. Dog treats? I want to eat these myself! You did taste a bit while you were making them, right? I love the idea of feeding pets natural, home made treats. This is great information, thanks for sharing! Yea haha you’re right I did taste it while I was making them. It tastes really good also. I can’t agree with you more. We don’t know what kind of dog food preservatives are in the dog treats we bought in the store. Feeding them with our own treats is the best way to make sure the ingredients are healthy for our pets. Love this! This has inspired me to make some homemade dog treats for my own pup. So excited to try this out, and also it’ll be nice to know whats actually going into my dog’s stomach! What a great idea…thank you for sharing. I look forward to seeing more recipes and following your ideas! Yummy! I haven’t come across one dog yet who does NOT like peanut butter! 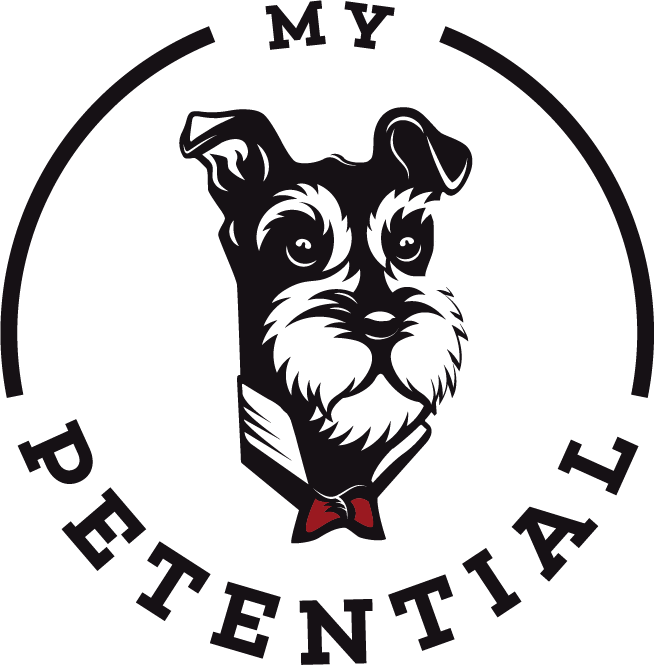 Not only are homemade treats delicious for dogs, but they’re also made by the hands of their human and I believe that dogs can sense that and feel your energy and love in the food! What do you think? Nice. I know this is for your dog’s treats, but it sounds like a pretty good human treat too. I wouldn’t have known that those ingredients were good for dogs. That is the coolest thing! My dogs are going to love this! What a great idea. And your dog is super cute. I can see why he would choose your homemade treats over the old dry treats. 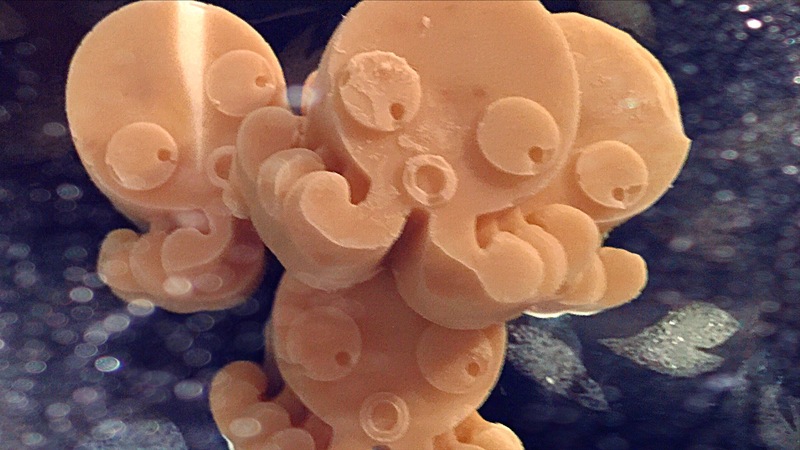 What cute octopus trays. They made the cutest little treats. Sounds like peanut butter frozen yogurt. Lol. Thanks for the compliment on my dog. He would definitely love it 🙂 The octopus trays are super cute. That’s an awesome idea! Do you have any suggestions for cat treats? I assume cats and dogs have similar nutritional requirements (mostly carnivorous), but cats are usually much smaller than dogs. I give my cats greenies as a treat and she gets high quality food, but it would be nice to make something just for her. Maybe I’ll make a video about making homemade cat treats in the future 🙂 Stay tuned. I had no idea that a dog would go for healthy human treats like these. Good for you for going homemade, I’m sure this will keep the dog in good health and in turn prolong it’s life. Well done, keep up the good work. Making homemade dog treats has so much benefits and it is so simple to do. I think everyone who owns a pet should do it. It’s quick and very healthy for your furry friend. What a lovely idea, which is going to save me some money on the long run for sure. I am especially interested as I have a dog, who doesn’t really like fruit at all, but adores milk products such as yogurt and cheese. I will be sure to try this trick to get some banana goodness into him! However I would be cautioned by the high sugar content of most off the shelf peanut butters, I will be using a organic one that only contains one ingredient; peanuts! Thanks for your comment. I agree that we should be cautioned by the high sugar content of the shelf peanut butters. Using organic one that only contains peanuts would definitely be a safe bet for your pet! Thanks for the dog treat homemade food. I think I would like to try out to feed my 4 dogs. Let the dog try it out some refreshing food. I would definitely recommend it. Wow you have 4 dogs? That’s so cool. I’m sure your dogs will enjoy the homemade dog treats. Great homemade treats! Your dog is so cute! I would definitely love to try it! Thanks so much for sharing! Loving your website so far! Love the idea of making pet food yourself! I just have one little remark, did you know that dairy (yogurt) products are super mucus forming and are very acidic to the body (for humans and pets). Pretty much all yogurts, milks and cheeses in the stores are pasteurized which means that the enzymes that help digest lactose are dead. And because we and our pets aren’t baby cows, our bodies can’t properly digest it and is the cause of many discomforts like bloating, indigestion etc. I thought it would be good for you to know.